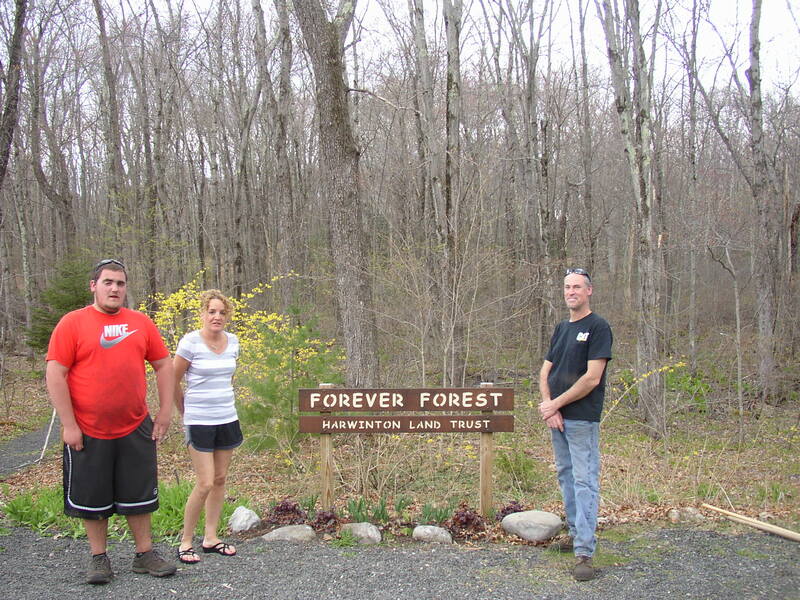 The Land Trust wishes to thank Harwinton resident, Alex Colombie for completing his Eagle Scout project at Forever Forest. 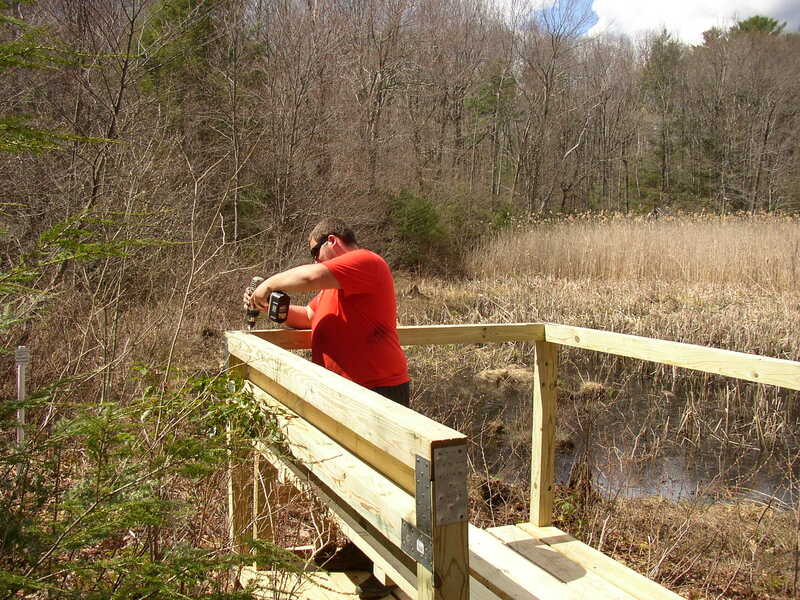 His project to construct an observation deck with a bench overlooking a large marsh is an important addition to the area’s trail system. A great deal of planning and effort went into his project. Just to get the tools and building materials to the location required that he and a half dozen other scouts had to lug heavy lumber a quarter mile in through the woods. Each scout had to make six trips back and forth, which means they had to hike a total of three miles–even before they could start work on the deck! Alex and his friends should be proud of the good work they did to benefit the residents of our town. 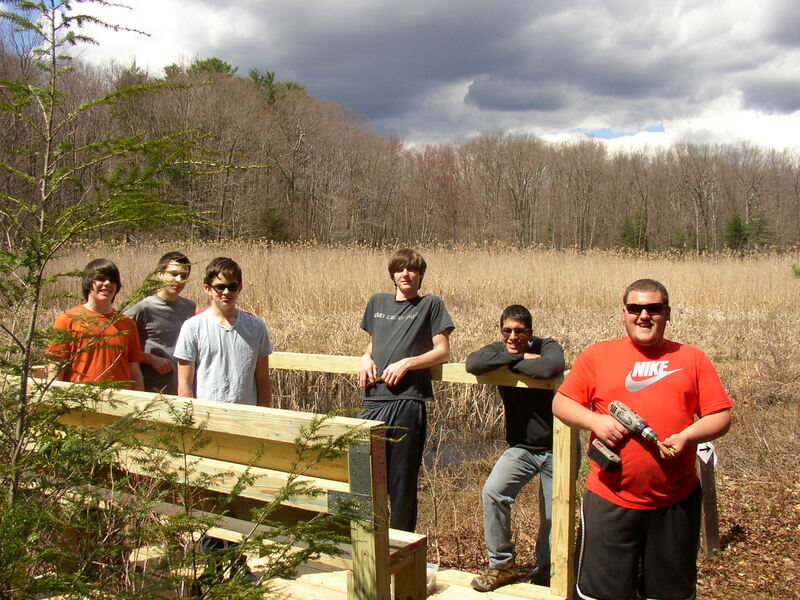 Alex and other scouts completed the work on May 2, 2015. Alex drilled the last screw in at 3 PM after starting work 8 in the morning.